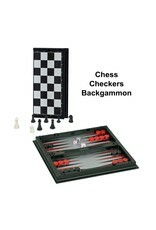 This is a great travel set that includes Chess, Checkers, and Backgammon! All playing pieces are inside, including a pair of dice and a doubling cube. 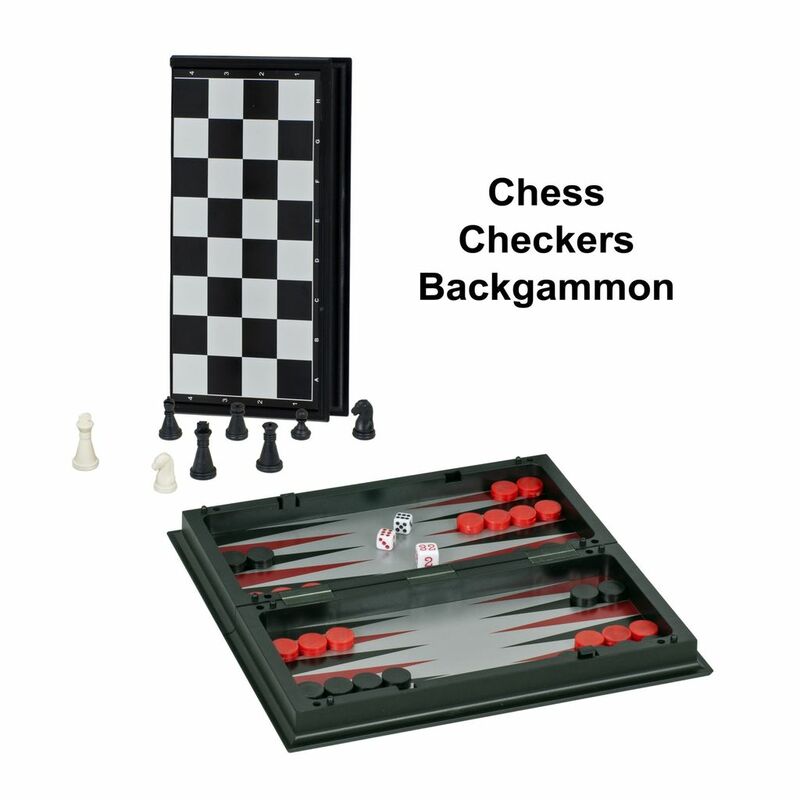 The board is reversable and features a magnetized side for Chess and Checkers and on the inside is a board for backgammon that is also magnetized for steady and sure play on the go. A great set for family vacations, business trips with colleagues, and anywhere where you want the challenge of classic games in a size that fits right in your bag. 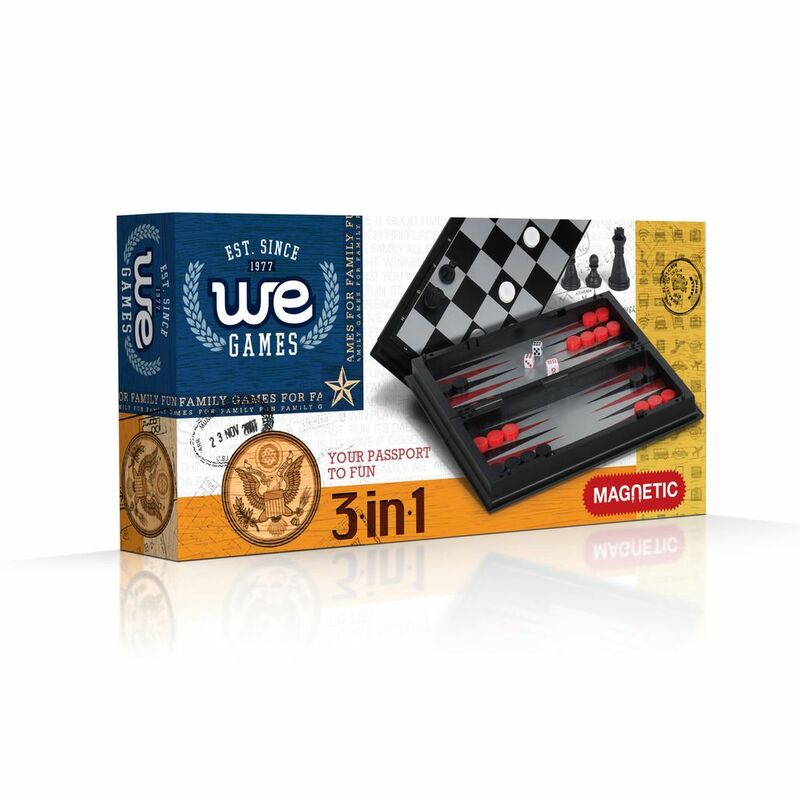 - Foldable magnetized reversable playing boards - Chess, Checkers, and Backgammon boards and playing pieces - Open Board measures 7.75 x 7.75 x .65 inches - King measures 1.57 in. with a .65 base. 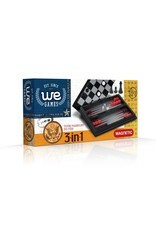 - Pieces for Checkers and Backgammon measure .5 x .18 in.